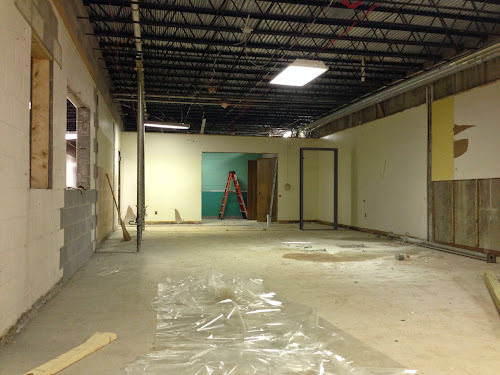 Signs of progress are all around the first floor of the Life Education Center. 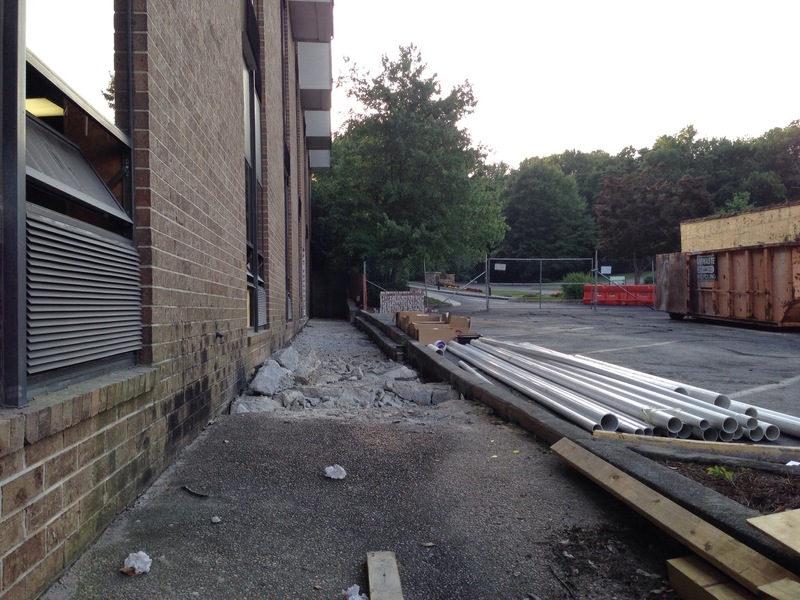 A new ramp is being framed out for the new exit door to the Tyler Road side of the church. This will provide a second way out at ground level for our little ones in the nursery & preschool area should there ever be an emergency. Ramp for the hallway to the new exit. Some of the "breaches in the walls" that I wrote about last week are starting to be filled in, with windows being framed out with concrete block for the new activity room. 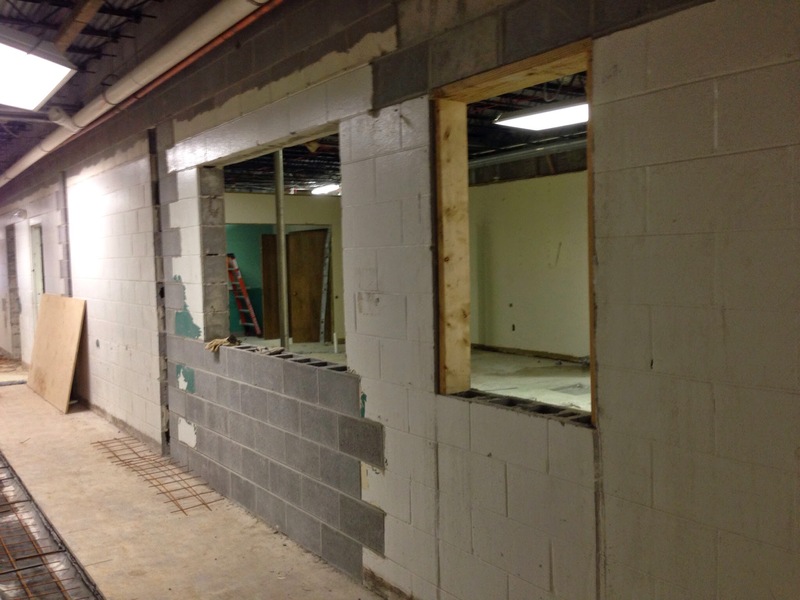 Windows openings for new activity room. The door frame is in place for the kitchenette area for the new activity room. Another look at the new activity room. 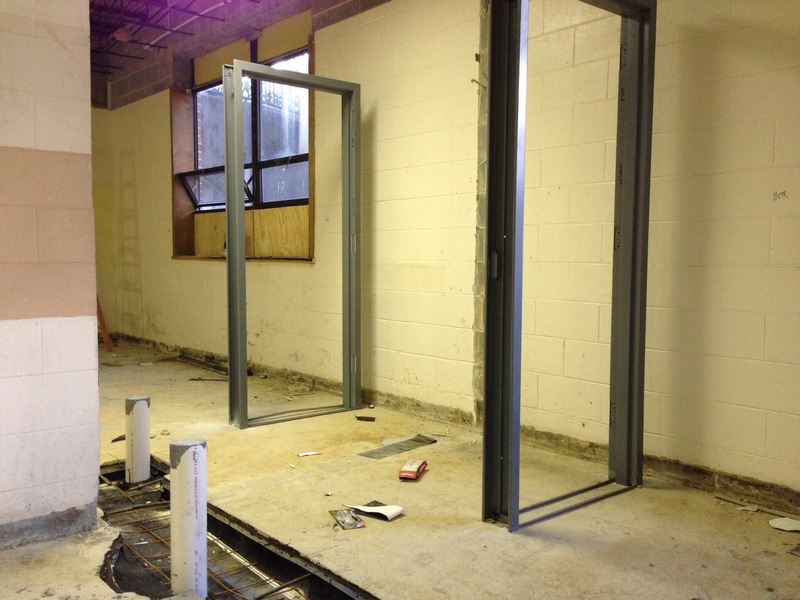 Restroom doors for the toddlers are being put in place, along with all of the plumbing. 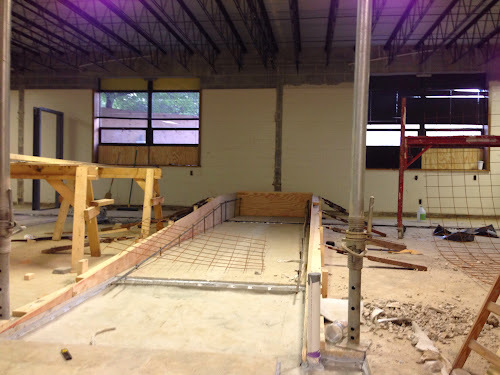 In fact, the plumbing has been installed in the floors and soon will be covered in concrete. Doors framed for restroom between two preschool rooms. Plumbing in place, covered in fabric and ready for concrete. 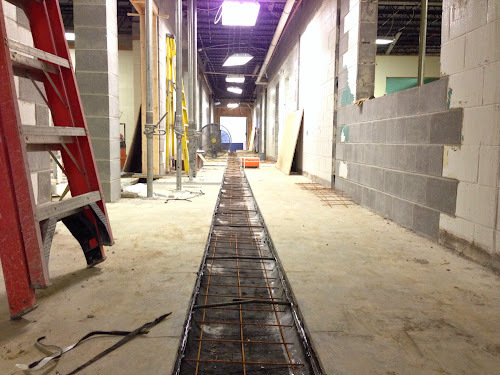 Outside the LEC, a ramp will soon be going in that will connect the area outside the Parking Deck with the connector. As you can see, the sidewalk that is currently there is being demolished. Demolition of the concrete to prepare for the new ramp. As you can see, there is a lot going on. Check back here soon for more news about progress in our Connecting project. 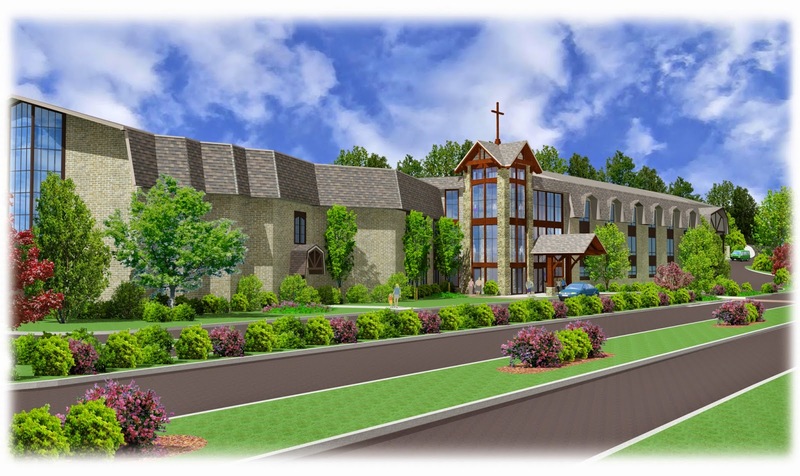 Connecting is a project of Shades Mountain Independent Church in the Bluff Park area of Hoover, Alabama. 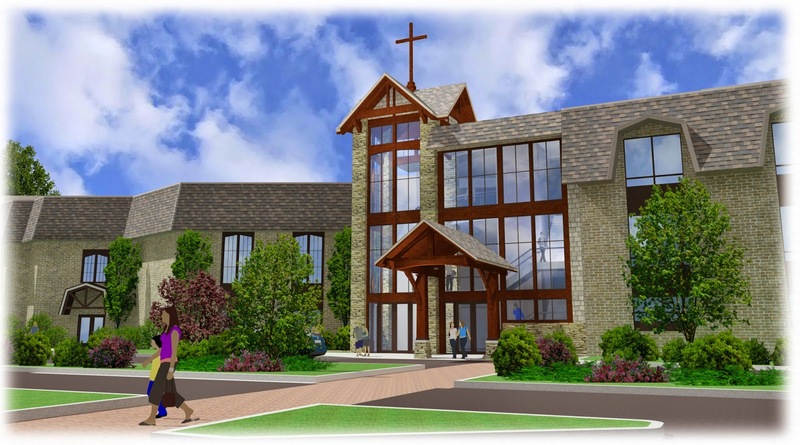 The goal of the project is to connect ministries, spaces, and lives by building a connector between our two main buildings and moving our nursery & preschool space to the first floor to improve safety and accessibility. Copyright 2014, Shades Mountain Independent Church. Simple theme. Powered by Blogger.